"The Iowa PGA foundation utilizes the game of golf to positively impact lives through charitable giving with emphasis on scholarships, junior golf and injured veterans." Sign up to be part of the Iowa PGA Section community! Sharpen your golfing skills and learn from the pros. Age divisions are both boys and girls 7 & under, 8-9, and 10-11. Your Pee Wee junior golfer will have fun interacting with his or her peers as well as enjoying times spent with parents! Learn and enjoy the game of golf from PGA and LPGA Professionals (13 and under). The Academy is open to boys and girls 12-17 with a maximum capacity of 50 total students. Make plans to participate in this great national event, which has traditionally been a stepping stone for many of today’s PGA and LPGA Tour professionals as well as current collegiate stars. Riverside, IA – Registration for the 2019 Iowa PGA Spring Series events is open. The Spring Series features four Junior and Pee Wee events. Three of the spring tournaments are ACE point events on the Iowa PGA Junior Tour, and one is a MAJOR point event. 2019 marks the second year of the Iowa PGA Spring Series. Spring Series events are open to non-members and members. Members will receive a discount on their entry fees for the Spring events. The Spring Series kickoffs with the Iowa PGA Junior/Pee Wee Spring Series #1 at Terrace Hill Golf Course in Altoona, Iowa on April 13. This is the first event on the 2019 Iowa PGA Junior and Pee Wee schedule and is an ACE point event on the Iowa PGA Junior Tour. Click here to register. Saturday and Sunday, April 27-28, marks the Iowa PGA Spring Junior Open presented by Principal Charity Classic. This two-day tournament is a MAJOR point event on the Iowa PGA Junior Tour. The first round will be played at The Legacy Golf Course in Norwalk, Iowa and the final round will be played at Copper Creek Golf Course in Pleasant Hill, Iowa. The Iowa PGA Spring Pee Wee Open will be held on Sunday, April 28 at Woodland Hills Executive 9. Click here to register. The Iowa PGA Junior/Pee Spring Series #2 marks the third Spring Series event of 2019. This tournament will take place on Saturday, May 11 at Westwood Golf Course in Newton, Iowa. This tournament will also be an ACE event on the Iowa PGA Junior Tour. Click here to register. The final event of the Iowa PGA Spring Series is the all new Iowa PGA Junior/Pee Spring Series #3. This ACE Point event will be held at Muscatine Municipal Golf Course on Tuesday, May 19. Click here to register. Registration for the Iowa Optimist International Junior Golf Qualifier is also open. This tournament will be held at Elmwood Country Club on Thursday, June 6. Boys and girls ages 12-18 will compete in an 18-hole stroke play event in hopes to qualify for the Optimist National at the Trump National Doral in Miami, Florida. Click here for more information and to register. Tournament Registration for all Iowa PGA Junior and Pee Wee Tour events will open on March 1. 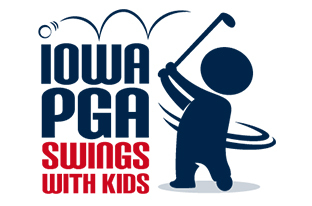 Check out all Junior and Pee Wee Tournaments at iowapgajuniorgolf.com. 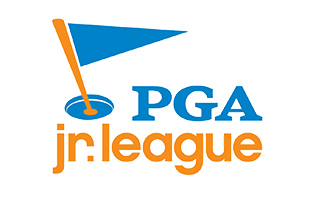 If you would like to become a member of the Iowa PGA Junior or Pee Wee Tour click here and use the code newjr2019 to receive a $10 discount on your membership. (This code is only valid for new 2019 members). Riverside, Iowa – The Iowa PGA and the American Cancer Society ® will continue their partnership in 2019. The Iowa PGA donates 15% of every sale of its Iowa PGA Golf Pass to the American Cancer Society®. 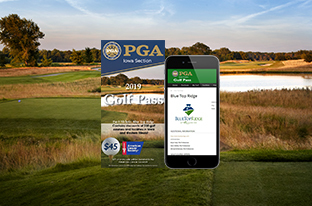 The Iowa PGA announced that it donated over $18,000 to the American Cancer Society® this year as a result of the 2018 Iowa PGA Golf Pass sales. A check was presented by the Iowa PGA Foundation Board of Directors to the American Cancer Society ® at the 2018 Iowa PGA Awards Luncheon on October 30. The partnership between the Iowa PGA and the American Cancer Society ® has proven to be successful in donations as this partnership has resulted in the donation of over $90,000 to the American Cancer Society ® by the Iowa PGA. The Iowa PGA has also been a presenting sponsor at the Coaches vs. Cancer Charity Golf Classic for the past three years. The 2019 Iowa PGA Golf Pass will go on sale in December. 15% of every sale will be donated to the American Cancer Society® again in 2019.